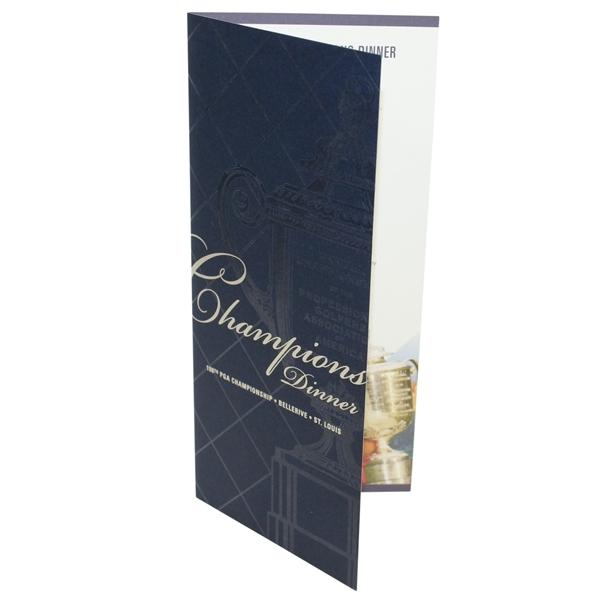 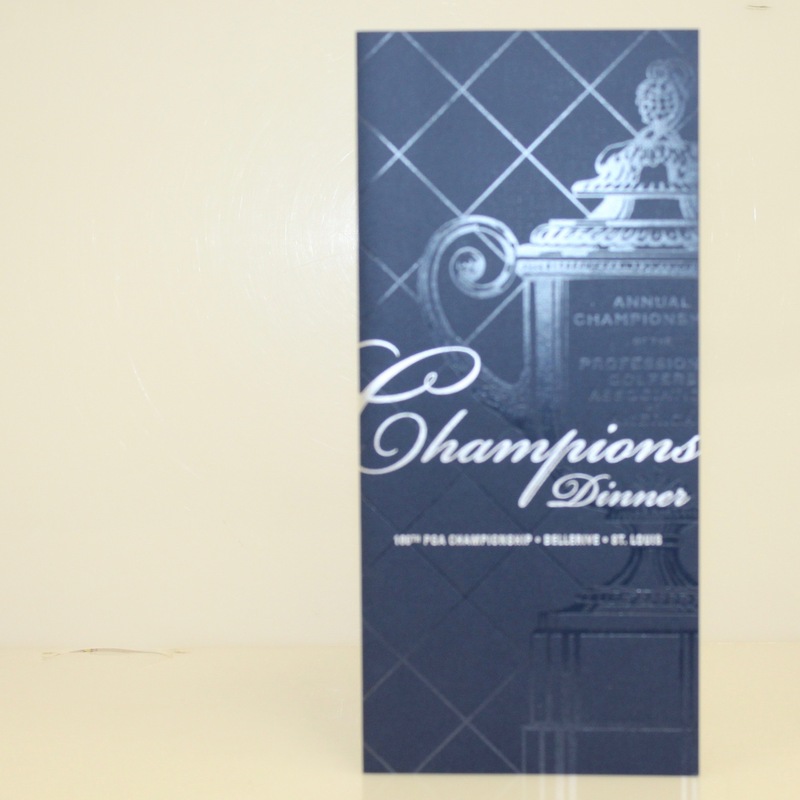 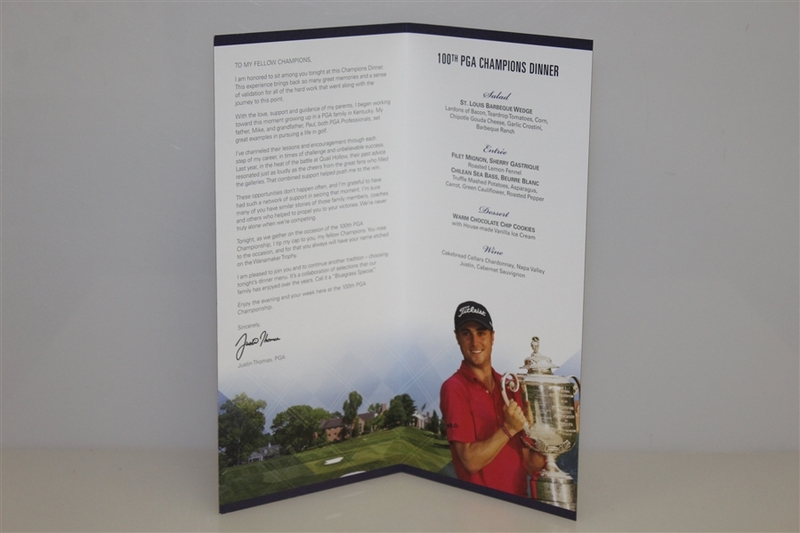 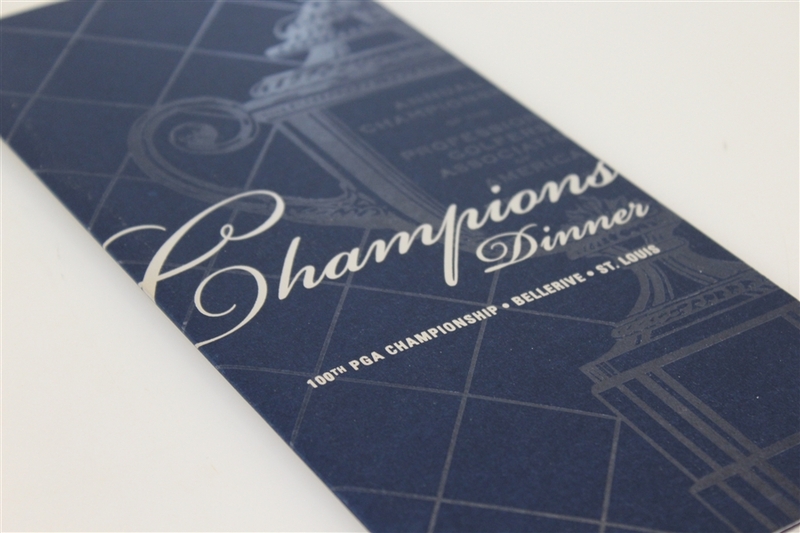 This lot contains a brochure/menu from the 100th PGA Champions Dinner. The PGA Champions dinner is much like the dinner before the Masters. 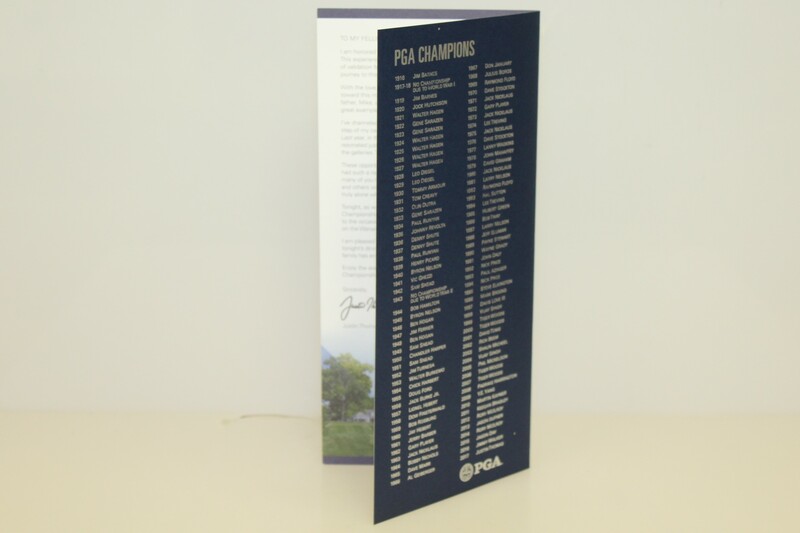 Only players that have held the Wanamaker Trophy. The reigning champion also gets the pick the meal.